The size of India can be a challenge to grasp. So, I just had the privilege to design an infographic for Operation World that visualized the second largest country of the world, with a population of over 1.2 billion people. To get a better idea for what that means, I started with the 35 states of India and compared those to other countries of the world. 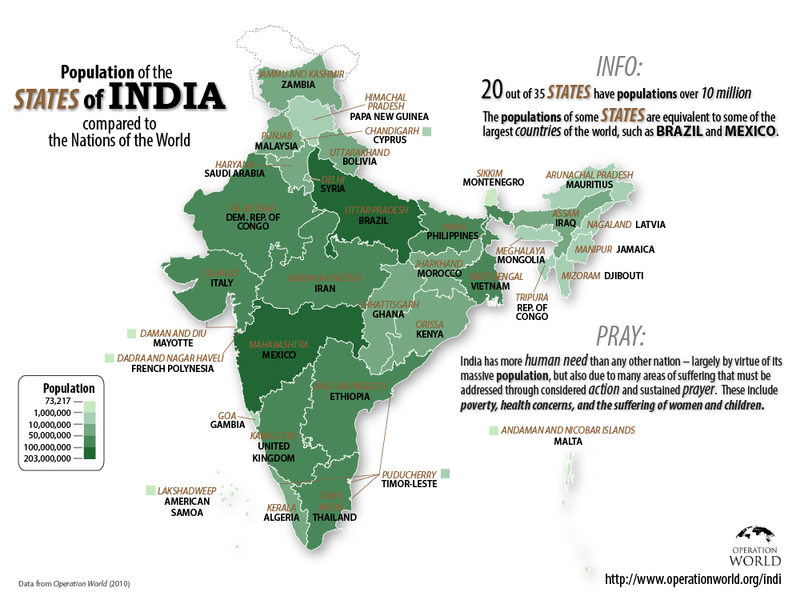 For example, the Indian state of Uttar Pradesh has approximately the same number of people as the entire country of Brazil! Also included are prayer points from the Operation World book. This infographic was shared online via Operation World‘s Twitter and Facebook pages.